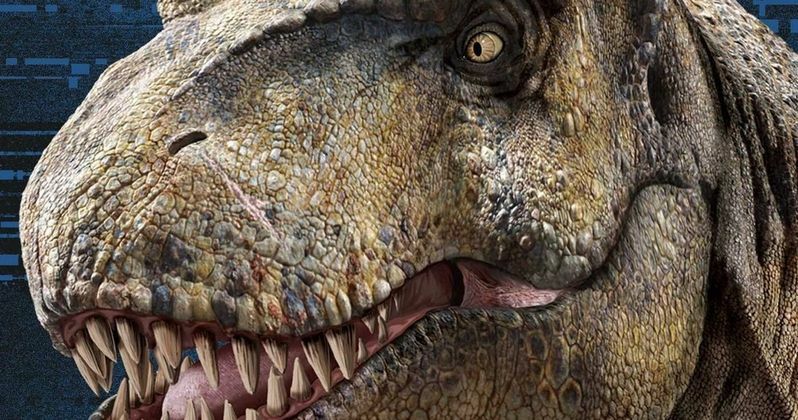 Does Netflix have a Jurassic World project in the works? That certainly seems to be the case. While the nature of the project, be it a TV series or one-off special of some sort, isn't yet known, some eagle-eyed subscribers noticed something interesting recently. Some further digging has revealed that, indeed, it appears the dinosaurs of Isla Nublar will be making their way to the world's largest streaming service sometime in the probably not-too-distant future. This all started with a couple of Twitter users who shared screenshots of a title that showed up as a suggestion on Netflix, Jurassic World: Camp Cretaceous. A fan site did some further digging and it was revealed that Universal actually filed three different trademarks for the title in December 2018 that cover a wide range of things from toys, games and other entertainment. So the studio is definitely doing something with that title within the Jurassic franchise and, barring a very bizarre mistake, it's almost certainly with Netflix. It's also well worth noting that there is plenty of other circumstantial evidence to back this up. For one, there are several other titles related to the franchise already on Netflix, such as LEGO Jurassic World: The Indominus Escape. Most importantly, Universal is already working with them on another show based on one of their biggest properties, Fast & Furious: Spy Racers, which arrives later this year. Margie Cohn, president of DreamWorks Animation Television, while discussing that series at one point had this to say. So it would seem that Universal wants to make other, similar content based on their biggest franchises for Netflix. Jurassic World is easily one of their biggest going right now. The franchise, all told dating back to Steven Spielberg's original Jurassic Park, has grossed just shy of $5 billion at the global box office. The most recent entry, Fallen Kingdom, brought in $1.3 billion. Needless to say, there's a huge global audience for this stuff. Taking everything into account, the probability is very high, near certain, that Jurassic World: Camp Cretaceous is coming to Netflix. Using the evidence we have in front of us, we'd bet on it being an animated series geared towards younger audience members. It's also well worth noting that a Jurassic Park animated series, which was meant to be a big-budget, primetime show, was in the works during the 90s, but was scrapped before it ever made it to air. If not a series, this would probably be a one-off, kid-friendly animated movie. We'll have to wait and until Netflix decides to dish on the details. This news was previously reported by Jurassic Outpost.